So this is where I am. But it's not an excuse for lack of posting. It's my daughter's wedding and I am mainly showing up where and when she needs me. She sometimes calls and asks questions or sends me a photo of something - which is sweet of her - but she has her own style and the day belongs to Kirsten and Devon. The gown is vintage, her bouquet consists of brooches - from family on both sides. I won't give away the music. There has been one unexpected sweetness: a friend of mine was recently ordained. She sang at my wedding. 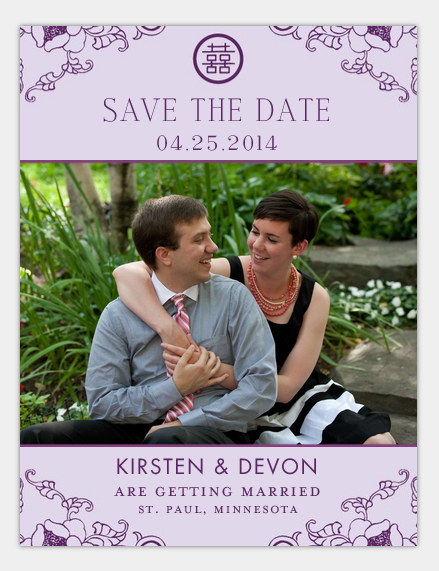 And she will be officiating for Kirsten and Devon. That's a lovely, sweet circle. Put all the ingredients (except for the turkey!) in a food processor and process 1-2 minutes for a smooth marinade. (A blender also works.) Put the turkey in a non-metallic container and pour the marinade all over. Massage the marinade into the meat. Immerse the turkey in the sauce. Cover and put in fridge for 24 hours. Preheat oven to 425 F/220 C. Remove turkey from marinade (save marinade) and put it on a baking sheet. Place in oven and roast for 15 minutes. Lower the temp to 400 F/200 C and cook for 15 more minutes. Then lower again to 350 F/180 C. Cook until turkey is done - about 30-45 more minutes. I use a meat thermometer to make sure. If the skin gets too dark, cover with foil. For the sauce: heat the marinade in a small saucepan and simmer for 15 minutes - until it is reduced by 1/2. Taste and season with salt and pepper. I doubled everything to serve 6 with leftovers. Leftovers are a must. I served this with a few sides. The eggplant was a hit and it's coming back here this week. To make the sauce, infuse the saffron in a small bowl of the hot water for a few minutes. Pour the infusion into the bowl containing the yogurt, garlic, lemon juice, olive oil and coarse sea salt. Whisk to get a smooth sauce. taste and adjust salt if need be. Cover and chill. This will keep for up to 3 days. This is also delicious on many roasted vegetables and potatoes! To serve: arrange eggplant slices on platter, drizzle the saffron yogurt over them, sprinkle the pine nuts and the pomegranate seeds and the basil and have at it. It's part summer and part winter. It kept the Polar Vortex at bay. *Please note photo was snapped after the baking was done. He is not allowed near any ingredients or pots and pans during prep and cooking. And the only way to accomplish that is to wait for Luce to go to sleep. 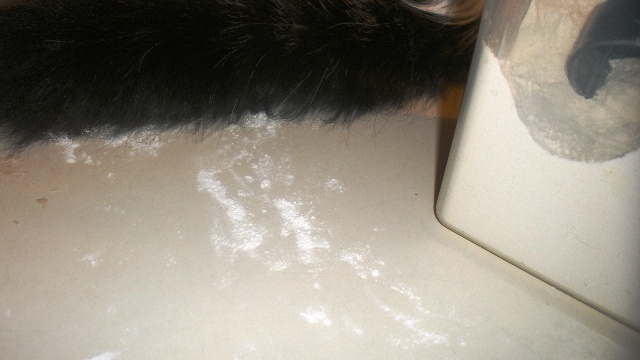 Mind you, I'm not delighted that his tail gets into the leftover flour on the table. But one day he won't be a little sneak-face getting into everything. Right? Tell me, I'm right. Glad to see you post again! The upcoming wedding sounds exciting -- congrats to the lucky couple! I've never met an eggplant recipe I didn't like -- this is wonderful. thanks. I've missed you Claudia. What a gorgeous chicken and perfectly cooked. And the colorful eggplant dish is perfect with it. Congratulations on your daughter's upcoming wedding. A lovely couple indeed. I find exploring other Mediterranean cuisines a lot of fun. Same or similar ingredients, but the preparation makes all the difference. Shows you subtle changes in technique or a different spice will utterly transform a dish. My own daughter is getting married in a few days in Mexico Claudia.It is such a special time for everyone one involved. Congratulations. I am like you and am just showing up. She is still at university after 8 years so this seemed the least stressful of any option. We are all just looking forward to an amazing time and a nice vacation thrown in. You must be looking forward to Spring even more than ever with your daughter's wedding on the horizon, Claudia! It will such a wonderful time in your life! I love eggplant and it's nice to have another recipe where it is not breaded and fried for a change. Your turkey breast looks spiced and roasted to perfection! Congratulations to your daughter! You must be thrilled to bits. Lovely chicken and eggplants. I'm a big fan of Ottolenghi. Claudia - It's easy to see why you've been sidetracked from blogging, with a wonderful wedding ahead of you. Congratulations to your daughter. She'll make a beautiful bride, I'm sure. Now about that food - what a feast you cooked up. I'm a big Ottolenghi fan and have made that eggplant dish and loved it. Next up I've got to try that turkey breast. Congratulations to your daughter, Claudia! The turkey looks perfectly roasted. Can't wait to try the saffron yogurt..must be very tasty served with salad too. That chicken looked amazing! Have you ever thought of opening your own italian restaurant? I think you'd be extremely successful! I know I'd go out to eat there all the time! I never even thought about putting mint on my chicken! And it is SO good! While perusing "Plenty" I too thought I could have been reading an Italian cookbook. Overall I find Ottolenghi's work, and personal outlook compelling and pleasing - so sensible - so Italian! Your food looks beautiful, and best wises for your daughter's special day! We’ve been traveling and I missed this wonderful post! Congratulations to your daughter on her upcoming wedding! How exciting!! I have had two Ottolenghi books in my cart at Amazon for weeks now. I just have to talk myself into yet one more cookbook! Your turkey breast looks amazing! What a wonderful time for your family, Claudia! I've missed your blog posts and so happy to read your words again! I've never tried Ottolenghi and it sounds delightfully delicious! Stay warm during those polar vortex visits! Looks like I am still on time to say congratulations to you Claudia, lovely couple. Would be so nice to be able to dig into that golden turkey of yours, not forgetting that delicious eggplant dish!